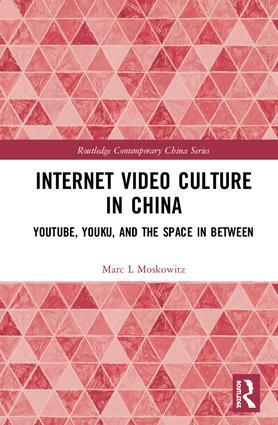 Examining internet culture in the People’s Republic of China, Taiwan, Hong Kong, and the US, this book analyses videos which entertain both English and Chinese-speaking viewers to gain a better understanding of cultural similarities and differences. Each of the chapters in the volume studies streaming videos from YouTube and its Chinese counterparts, Todou and Youku, with the book using a combination of interpretative analysis of content, commentary and ethnographic interviews. Employing a diverse range of examples, from Michael Jackson musical mash ups of Cultural Revolution visuals, to short clips of Hitler ranting about 21st century issues with Chinese subtitles, this book goes on to explore the ways in which traditional beliefs regarding gender, romance, religion and politics intersect. Looking at how these issues have changed over the years in response to new technologies and political economies, it also demonstrates how they engage in regional, transnational, and global dialogues. Comparing and incorporating the production of videos with traditional media, such as television and cinema, Internet Video Culture in China will be useful to students and scholars of internet and digital anthropology, as well as Cultural Studies and Chinese Studies more generally. Marc L. Moskowitz is a Professor in the Department of Anthropology at the University of South Carolina, USA.